Happy Wednesday, Breaking Bread Family! 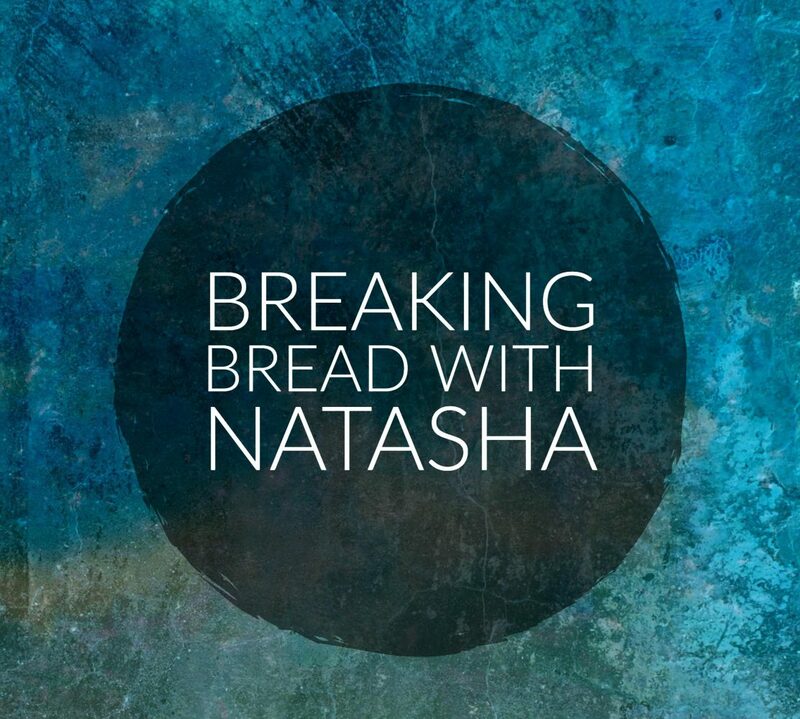 I know you’re wondering where those Monday through Friday Breaking Bread With Natasha (BBWN) messages are, and why they aren’t in your inbox. Well, God and I have been working on some big, bold, and bodacious things—starting first, within me! See, when we want things to change for the better, change must first begin within us. Before we can see the external change we must uproot and overhaul the systems and processes taking place internally. We also have to take ownership of the truth and reality that most of our internal shut-down and malfunctioning was due to the fact that we simply couldn’t embrace and deal with external changes. Our unwillingness to adapt and overcome, turns into the excuse of “I can’t”, and that it is something or someone’s fault why we “can’t”. Look folks, we can fool ourselves but we can’t fool the One who made and molded us. We can’t fool the One who consistently shows up on time and bails us out of our stupidity. We love to say the catchphrases, “keep it real” and “keep it 100”, yet we’re walking around here phony as ever. Last year, God brought several people to speak to me, to rattle me up and out of my spiritual and emotional “funk”. He brought one person in particular who has helped me tremendously in showing me how to go deeper into prayer, how to ask God clarifying questions, and how to embrace those moments when I hear God’s voice over all noise and other voices. The last two months have really be soul-stirring as I’ve reached a point, spiritually, that I can only recall feeling this familiar when I was a very small child (younger than age 9). Well you better because God’s no joke and His works are no lie. Thank you KLB for allowing God to use you in this and so many other ways. Your obedience has allowed me to open and explore portals that have desperately seeked attention and use. So family, I will resume the BBWN posts soon. I will also include other content. I will pick up the baton I sat down, in the form of the audio messages. I think there’s another platform that will work better for recording and storage, that I then can share an access link for those of you who are interested in connecting with me in audio. As God points me in the right direction I will follow, and then follow up with you. Some of you have inquired about my book that I first started tap tapping on my keyboard to create back in August of 2016. I made an announcement at the end of 2017 that I was jumping back in so I could finish it. There were some moments of vision blocks and then a sea of pure release, as I’ve typed and edited along the way. I know from my years as a journalism student that you’re not supposed to edit while writing. You’re supposed to write, edit, and re-write what needs fixing, and then repeat the process until you reach the states of “good enough” or “oh God this is amazing”. I’m roughly 90% done. I’m slated to complete this body of work by March to send to an editor. The goal is to have edits and the “shabang” done by June, for promotion to begin in August for a November/December sale date. That then sets everyone in motion to begin reading Day 1 of the book on January 1, 2020!!!! Yeah yeah yeah…I know. I know. Some of you want the book now. I get it. You’ve been waiting more than one year. But guess what? God’s been waiting decades for me to write, finish, and publish a book. So I think you can wait 10-11 more months to get the book in your hand, and then one more month to begin the daily journey. I will need your help as I stride to these deadlines. I pray that you will be receptive and forthcoming with your assistance and feedback when I reach my arms out to you. This book is for you and people like you who want to embrace the unique and special relationship that we each have with God. That is why I am including you on this writing journey. Stay tuned for details. Do you see it? Can you feel it? Can you relate? God has humongous things planned and in store for me, and He’s been waiting decades for me to stay on my path, get the work done, magnify Him, and testify through my walk (not just my talk) all that He has and is doing for me. I’m frequently disobedient, but He’s the grandest of teachers with the most patience and skills. Soooo…as He realigns me I will release my grip on my false sense of control, and let Him do what only He can do. I’m gonna listen to Him and not seek approval or permission from those He created. I’ve squandered almost 30 years on that foolish merry-go-round. I’m dizzy and nauseous. That ride is stopping. Now. Right now. With that, I conclude today’s message. I hope that you’re excited for me. If not, shake off your “funk” and get with the program. We need your light to shine, we have enough shade to go around!